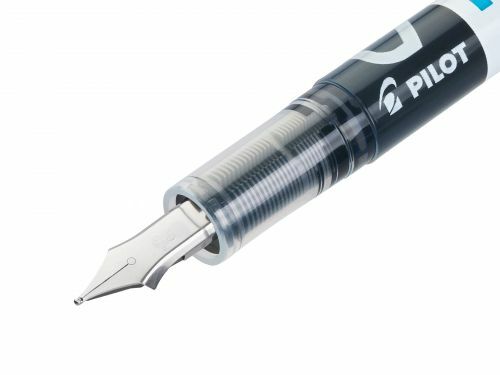 Pilots V-PEN combines the comfort and convenience of a rollerball with the fine-writing stroke of a fountain pen. No more messy cartridges or blotting paper: the V-PEN is disposable, with the ink already loaded straight into the barrel, complete with a viewer window so you can see how much ink you have left. 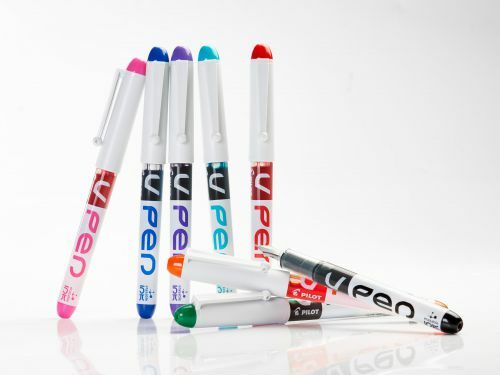 The V-PEN is ideal as a first pen for those learning to write with ink because if you make a mistake, the ink erases using standard ink eradicators. 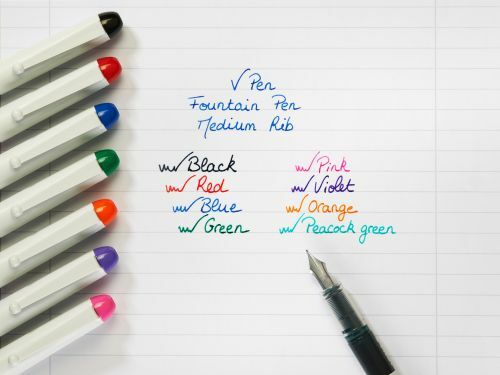 The V-PEN ERASABLE is ideal for left-handers too, with its rounded nib, so there really has never been a better time to rediscover the fine art of writing with a fountain pen! Available in a variety of fashionable and distinctive colours. 0.58mm nib gives a medium line.